Ines Irawati, vocal coach and pianist, has a long list of impressive musical credentials. But it’s the less tangible elements of her career, the experiences beyond those offered by any degree, program, or performance, that have impacted Irawati’s life the most. Irawati’s musical journey began at the age of three, after being separated from her parents overnight to undergo surgery. Unable to have them by her side, she was left fearful of being apart from them. To help deal with the anxiety that resulted from that traumatic experience, her mom put her into music classes. The rest, Irawati says, is history. Drawn to the tightknit community music offered and equipped with a natural talent for piano, Irawati continued her musical career throughout her childhood years, attending the Yamaha Music School in her birthplace of Indonesia, making her performance debut with the Indonesian Youth Symphony at age 12, and being accepted to the prestigious Junior Original Concert Program, where she developed and presented original compositions around the world. At age 15, she performed with the Tokyo Symphony and, shortly after, was encouraged to apply to a renowned young artists program at Cleveland Institute of Music in Ohio. Soon after being accepted, Irawati left her family and moved across the world to explore the new opportunities that awaited her. While Irawati attributes a lot of her identity and success, as well as the courage to strike out on her own, to the empowering nature of music, her relationship with her art hasn’t always been a simple one. After going on to earn a bachelor’s in music from Cleveland Institute of Music and a master’s in music from Yale University, feelings of burnout quickly set in, prompting Irawati to actually step away from music altogether for several years. It wasn’t until moving to San Diego in 2004 and joining the La Jolla Symphony and Chorus on a whim that she began to rediscover her musical roots and a renewed sense of enjoyment in playing. 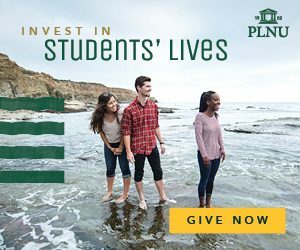 Irawati’s resurgence into the world of music catapulted her into a variety of new roles, including one as a vocal and collaborative piano teacher at PLNU. In this position, she works with vocalists to improve their overall musicianship and performance artistry, and helps piano students learn how to collaborate with other musicians. Additionally, she works as the music director for the San Diego Opera’s community engagement program, Opera Exposed, training young local musicians and coordinating concerts in different communities around the city. In each professional capacity, Irawati is eager to share her experiences with a new generation of musicians, helping them hone their craft, appreciate the long process and hard work that goes into being a skillful artist, and better understand the effect music can have on others. While working with students and collaborating with other musicians brings rewards, Irawati is perhaps most proud of a personal endeavor to bring music to people in a more personal way. 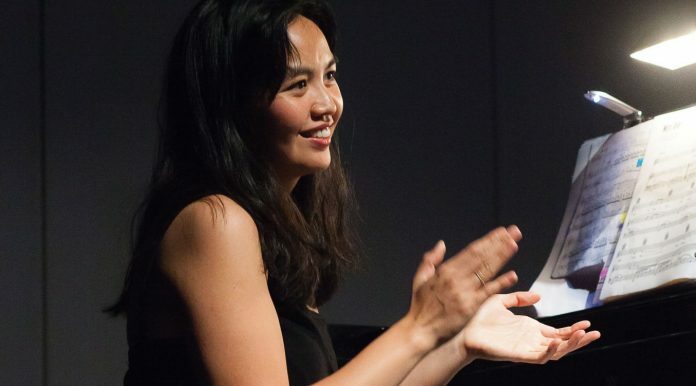 Over the past year, she has worked to create a house concert series called MusiKamar — Indonesian for “chamber music” — through which she performs chamber works with world-class musicians in intimate spaces, such as people’s living rooms. When she’s not bringing the gift of music to the community or classroom, Irawati likes spending time with her favorite people: her husband, Michael, and her two children, Glenn and Natalie.